Why Build or Redesign on HubSpot? HubSpot COS (Content Optimization System) functions as an ideal all-in-one platform for B2B and B2C website design with all of the things you need. Why Build or Redesign on WordPress? WordPress offers some particular functionality that works well for many of our clients when used as a complement to the HubSpot platform. Need help figuring this out? Reach out to us today. We’ve executed over 200 launches on HubSpot and WordPress. Our experienced project managers, designers and developers believe that designing or redesigning your website is so much more than building a place for your visitors to land. In fact, we know that you don’t want your customers to land—you want them to move forward. From standard redesigns to custom development, our projects begin at $10,000. Before we start working on your site, we need to know about your company, your goals, and how you hope to move forward. We’ll listen to find out what you have been struggling with so that we can identify solutions. Lots of traffic to a website is good. But in order to get the highest conversion rates, you want to right traffic. We’ll help you identify your ideal buyer and then target our approach to drawing in visitors who are most likely to become buyers. 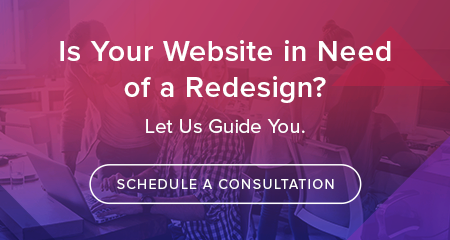 At this point we’ll review your current website to determine what is currently working for you and what needs to be changed by using your current website data. We’ll brainstorm how to make the most out of your online presence keeping your buyers in mind. Websites that offer valuable information draw in targeted visitors who eventually turn into buyers. We’ll help you create a strategy that puts your organization’s expertise in the limelight through rich, intelligent content development. The inner-workings of search engines don’t have to be a mystery. Our research and analysis will help you find the best keywords and terms, used in the best possible way, to optimize your website and move it up in search engine rankings. Once we’ve determined your business goals and needs, we’ll begin the planning stages for the foundation of your website. This will include a basic idea of what information should be included and general outlines for the intended structure. This is when things begin to take shape. A wireframe is just a fancy word for a website outline. It makes up the basic structure (think skeleton or bare bones) of your website, which we’ll work to flesh out in the next stages. Adding flesh to the bones, we’ll make decisions together about how you want your web pages to look using the Content Optimization System (COS). Keeping your brand guidelines in mind, our in-house designers will design customized site pages. A bit of creativity and a lot of technicality goes into making sure that your landing page and email functionalities contain the critical features to meet your business needs. We’ll structure these critical operations to look great and flow smoothly. We pride ourselves in our HubSpot and WordPress development team. Knowledgeable about both content management systems, you’ll have user-friendly templates that can be used over and over - no IT team needed. Once your site content is approved, we will begin building site pages using the custom developed templates. Whether your website is 5 pages or 500 pages, you can rest assure your site is in good hands. During this entire process you’ll have access to our web designers as we collaborate together. Our designers want to help you understand your site and make adjustments according to your specific needs. At this point your website is almost ready to go. Now we’ll advise you on the details and functionalities of your new site so that you can make the best possible best use of its incredible features and allow your site to work hard for you. We don’t just build a website for you and then leave you to figure it out yourself. We commit to teaching you and your staff you how to use your website to its maximum capacity and make the most of your inbound marketing opportunities. Just to make sure that everything is going to go smoothly, we’ll do some final pre-launch testing. We aim to build the highest quality website for you, and we promise to work out any kinks prior to actually making your website public. This includes testing across current browsers and devices. All of the hard work, creativity, and collaboration come to fruition when your website launches. Seeing your website live is exciting—but it’s only the beginning. There’s so much to look forward to as your website continues to build and grow for you. In order to keep a fresh flow of targeted visitors to your website, you must provide a regular feed of valuable content for them to access. We’ll help you with monthly delivery cycles to keep the information flowing and keep the right visitors coming. Putting a website together will turn out to be pretty useless if it isn’t performing the way it needs to. We research and monitor with the most up-to-date tools to be sure that your visitors are getting the most out of your site. As part of optimizing your website, we set up experiments to show us how different variations of your website, email marketing, or other campaigns are performing. These give us the information we need to help you move forward with what works. Developing and understanding the way your visitors and customers are using your website allows you to respond appropriately and tweak where necessary. We’ll get you the data and reports you need to keep your website moving in the right direction. All website visitors are not equal. Part of the earlier work of identifying your buyer comes into play now as your website targets certain users with particular browsing histories, drawing them in as potential buyers. As your marketing moves forward, we’ll be here to help support your campaigns. Whether email, social media, or CRM, we will walk through your campaigns with you to be sure you get the results that meet your company’s goals. Our deep flexibility comes into play here. Even though we have a great deal of website building expertise, we know that your organization may have unique issues or needs. We want to be intentional about leaving room for these. LyntonWeb is giving input on what to use and what not to use. What will hurt or help the website. They are not just taking orders. The company gives input, secondary assurance, a lot of expertise on how HubSpot works and how it doesn’t work.